In our digital age, it’s easier than ever to skip personalized party invitations in favor of email. Our green conscience points to the energy costs in the production and delivery of such paper goods, from the printing presses to the mail trucks. Then there’s our own personal costs such as shopping, addressing and paying postage. Group gatherings that meet regularly, such as book clubs or athletic groups, use email often where cost is an issue. But for that special year-end party, or an extra important occasion such as honoring someone, mailing print invitations conveys extra importance. Similarly, charities, churches, and other groups with a mission are always cost conscious. But to garner extra attention for special fund raising or other important events, go with a print invitation that gets noticed. Sweet sixteen? Fortieth birthday? Party with a special theme? You might want to communicate extra special birthdays visually with a printed invitation. Wedding shower or baby shower, this is too special an occasion for an electronic invitation, and too personal to be posted through other social media alone. Definitely order and send printed invitations. Do we really have to answer this one? You want this one in writing! Like a wedding, a golden anniversary or graduation is one of life’s key milestone celebrations to be remembered. 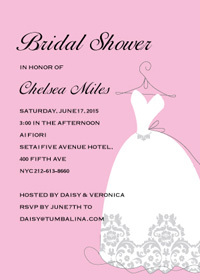 It’s importance deserves a print invitation if you’re planning a party, and gives you a keepsake as well. To find fabulous printed party invitations, visit www.looklovesend.com for a wide selection of designs in a variety of styles. With easy online customization, premium quality papers, and fast turnaround to ship, LookLoveSend will help make your next special party truly unforgettable.